Today we sat down with our Account Manager Sina to learn more about her. What do you do as an Account Manager? Which are your main responsibilities? I am working for the German market but I also support my colleague with the Austrian market. I coordinate projects, communicate with clients and make sure that they are happy. With clients I am looking for possible packaging solutions for their products, send out offers, place orders and deal with the delivery after production is finished. What did you do before you started at Swedbrand? Back home in Germany, I worked in the tourism industry. Before moving to Shanghai, I worked as a convention sales manager in a hotel. How long have you worked at Swedbrand? I started working for Swedbrand in mid-October 2018. So, I have been at Swedbrand for about half a year. When coming to Shanghai I set myself the goal to change the industry I work in to broaden my knowledge and expertise. As just mentioned I worked in the tourism industry before but was always keen on learning new things and challenge myself. I chose to work at Swedbrand because I have the opportunity to work internationally, but as an Account Manager for the German market still have a connection to my home country. The international working environment and the opportunity that was offered to me to set my foot in a new industry without having experiences in that field. Everyone working for Swedbrand has a different (cultural) background and different (language) skills which makes working together really interesting. Describe Swedbrand with three words? I only moved to China when I started this job. What is your experience of the country and its people? China is different compared to my home country Germany in every aspect you can imagine. There isn’t one single day that I don’t see anything that isn’t “strange” in my eyes. Of course, Shanghai is one of the most western places in China but still, there is so many differences to Europe. One of them is for example dogs walking around with cloths and shoes, scooters loaded up with as many packages as possible or people cooking and serving food right on the street. Be patient. Although Shanghai is a very fast moving city you have to be patient. Things just take a bit longer here in China but in the end, everything always works out fine. Be brave. There are several things I do here that I have never done before in my life or that I simply did not like to do and that challenge me every day. One of them is for example eating food that I have no idea of what it actually is. Be open-minded. Being open to the new culture, language and ways of life. There is so much to learn from each other. Be disciplined. Working full-time as well as attending classes twice a week in the evening for learning a new language is though. I learned to be disciplined and manage my time well. Where else in the world have you lived before? I have lived in several countries before I moved to China. After finishing high-school I worked as an Au Pair in the US for 13 months. I studied tourism management in the Netherlands for 4 years and I spent half a year each in Finland and England while doing internships. I want to make the most out of my time in Shanghai. For sure I will go back to Germany one day but until then I just want to enjoy life as much as I can. I want to travel around in Asia as much as possible during holidays and on the weekends, meet people from all over the world and get to know the Chinese way of life. Germany. I grew up in a small village in the northern part of Germany (near Wolfsburg) with around 1.200 inhabitants. This is roughly as many people I meet in the metro here in Shanghai every morning when going to work during rush hour. What do you miss from home? What do you wish you could bring here? To put it short, My car, the countryside and German bread. I simply love the freedom that having a car gives you. You can explore places that are located beyond the last metro or bus station. I also miss nature and the countryside. I love to be outside to go for a walk, cycle or hike but here in a big city like Shanghai the options to do that are very limited. Last but not least, I miss bread. Real German bread with a crust. It is so hard to find good bread outside of Germany. Traveling, arts & crafts (sewing), reading, sports, explore the surroundings. Do you have any hidden skills? I love to renovate and build things. I always say that if I could, I would be a construction worker. I love building things, painting walls, cutting wood or drilling holes. I guess if I could, I would renovate my apartment once a month *she laughs*. The cold winter is slowly coming to an end and the sun and warm weather are making more visits. Also, the shortest month of the year know as February has already passed and we have during these first 2 months shared some interesting topics on our blog. Articles about the EU plastic ban, a new packaging innovation and of course a chat with one of our coworkers are all lined up below. To read all of the top blog posts we have collected for this month, all you have to do is continue reading below. Hope you’ll enjoy! Is Norway The Worlds ECO Example? They are not holding back in any way when it comes to shaping their future. Every aspect of life is shaped to be more sustainable and ecofriendly. Here are just some of the things Norway is doing to keep the air, the seas and nature as free from pollution as possible. We celebrate countries like Norway for their enthusiasm for a sustainable society. Check out the infographic here and get inspired! The European parliament recently voted to act against one of the largest sources of pollution in our modern era! They voted to put a ban on many of the popular single-use plastics by 2021, which includes drinking straws, disposable plates and disposable cutlery. It will not be easy or a quick fix, but we are hopeful that things are finally moving in the right direction. Read the full article here. Today we sat down with Camila, our Business Developer for Latin America, to learn more about her and her work at Swedbrand. She worked as a marketing manager before starting at Swedbrand, she tells us about all the things she miss from her home country and she gives some advice if you want to move to Shanghai. To read the full interview, click here! 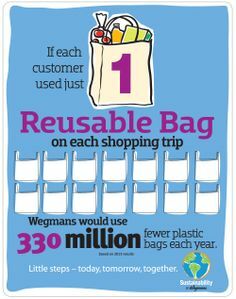 Did you know that roughly only 10% of the plastic that we use gets recycled? Benjamin Stern, learned about this fact and realized that he needed to find a way to help eliminate plastic waste in personal care items. So, he started NOHBO, one of the world’s frontrunner in terms of ecofriendly shampoo packaging. Find out more about this amazing innovation here. We have all seen packaging fails, but thankfully, you might not have seen as horrendous fails like the ones we are about to present. 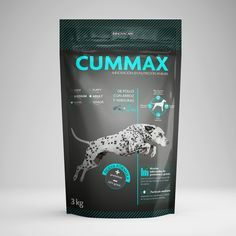 These companies just took a hilarious wrong turn, from completely inappropriate slogans to just simply the wrong packaging. We have collected the 10 worst packaging fails for your amusement! You can find them here. We hope you enjoyed our ‘Blog Post Recap’ and we are looking forward to hearing your feedback! After 2016, EU got caught in a little pickle when China decided not to import any plastic waste anymore. This left the EU with 56.4 million tons of paper and 8.4 million tons of plastic waste, which pressured them to make a series of changes. One of which is the banishing of single use plastics from the European market until 2021. This way, the EU aims to reduce and eliminate waste, especially plastic waste, of which only 10% are effectively recycled. Fortunately, it is not just countries that want to make a change. Individuals such as researchers and designers are constantly seeking out new solutions to substitute and eliminate waste from packaging. One of these individuals is a graduate student from Italy named Emma Sicher. She was horrified by the amount of waste that we are producing and putting out there. Therefore, she decided to try and find a sustainable alternative to plastic as well as paper packaging. Her studies focused on packaging that was most commonly associated with food items, in which she founded the company “From Peel to Peel”. The next step in Emma Sicher’s research was to produce the material herself, utilising a variety of materials such as apples, beetroot, and potatoes. Next up they needed to test the durability and capabilities of the material. Through numerous attempts, she concluded that the material could hold different textures if differing processes were applied. Further testing resulted in the knowledge that the material could be easily dyed in basically any colour but that the material could not be used to hold water or oil-based materials without applying a coating. In conclusion, the material has a two-year shelf-life and can even be recycled or reused when undergoing a special blending technique. The finished material has two main uses, such as single-use tableware and packaging material. Until now, the material cannot be used to hold liquids, but Emma has already set her sights on developing the material to withstand liquids as well. We will keep our eyes open to see how this amazing innovation will develop in the future. http://www.swedbrand-group.com/wp-content/uploads/2019/02/1-2.png 527 939 Madeleine Jansson http://www.swedbrand-group.com/wp-content/uploads/2016/07/swedbrand-group-logo-small.png Madeleine Jansson2019-02-26 07:00:192019-02-25 09:59:51Can We Use Fruit and Vegetable Scraps to Make Plastic? Did you also make resolutions this year to be healthy, workout and eat more fruit and veggies? It can be hard to keep up with all the sweet temptations out there, but try to remind yourself of your goal and the positive benefits. Not only will veggies and fruit give you more vitamins and energy, but since it contains less calories you can also eat much more. But how can you keep your healthy goals for the rest of the year? We would suggest these 3 simple steps: Be realistic, make a plan and reward yourself. But to be honest, the biggest help for us packaging nerds is to have a cute food or drink packaging containing your freshly squeezed juice or veggies. Don’t you agree? Take a look at these 14 cute packaging’s we have collected to help you stay motivated. 1.Juice packaging, isn’t this tempting? 7.Who doesn’t love the healthy and delicious avocado?! 13.Real Pineapple or just packaging? 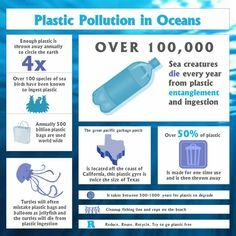 We all know that plastic is inevitably damaging our environment, therefore no need to further elaborate on this unforgiving fact. Unfortunately, it doesn’t even matter if consumers want to make a positive impact by for example rinsing-out their shampoo or lotion bottles after use, to properly recycle them. 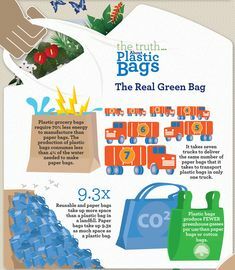 National Geographic, among many other sources and researchers have made one undeniable fact clear; only about 10% of the plastic that we use gets recycled! Benjamin Stern, a high school student from Melbourne, Florida, learned about this fact through a documentary about the plastic bottling industry. This was back in 2014, and he then realised that he needed to find a way to help eliminate plastic waste in personal care items. So, at the age of 14, Benjamin started his journey to conceptualise NOHBO, which today is the world’s frontrunner in terms of eco-friendly shampoo packaging. The original NOHBO product came in form of packaging free marbles that were produced from mostly plant-based materials. This initial prototype however, wasn’t stable or practical enough to be produced on a large industrial scale. After a little bit of tinkering a secondary design was created, called “Drop”. This literal drop-shaped item is flash-wrapped in a non-toxic, water resolvable and biodegradable material. In this sense, all you have to do to get the perfect amount of product is to hold one of the drops for two to four seconds under water. The outer skin will dissolve which will let the user put the shampoo on their hair or skin. This is the simple way of eliminating every waste, even the error of wasting shampoo can be circumvented. The packaging in which the “Drops” come can easily be hung in the shower of simply stacked against the bathroom wall. An additional advantage is that the packaging is made from plastic, gained from sugarcane waste, which is a side-product of sugar mills. This leads the packaging to be entirely compostable. However, NOHBO is not the only personal care company which strives to eliminate plastic packaging. The Lush Cosmetics brand has set the target for themselves to continuously making efforts to release more new package-free products in the personal care industry, without compromising quality of the products. In conclusion, we will still need plastic packaging solutions in some sectors as well as on certain products, but the overall plastic waste and consumption could be held to a bare minimum if every company tried to be a bit more conscious, like NOHBO. The flavour will be made up of chocolate ice-cream with white & darker fudge chunks, pecans, walnuts and almonds. If only every resistance fight would sound this tasty. The artwork on the colourful cups is designed by Bay-Area artist and activist Favianna Rodriquez, who is known to be an advocate on topics including immigration and women’s rights in. This is not the first time that Ben & Jerry’s has teamed-up with a progressive organisation. Their latest flavours include Colour of Change, a group who design campaigns powerful enough to “end practices that unfairly hold Black people back, and champion solutions that move us all forward.” In addition, Ben & Jerry’s also support other organisations such as Honour the Earth, Neta and the Women’s march. As a part of their efforts, they are donating 25 thousand US dollars to each of the organisations. Releasing the “Pecan Resist” flavour one week before the US midterm elections makes it seem like a rather deliberate and politically motivated act on behalf of Ben & Jerry’s. Yet, it is pretty questionable how much of a quantifiable impact this move will have on both, President Trump’s elections and political agenda. In conclusion, political disagreements are inevitable but companies that previously had no clear political agenda (and don’t sell a product that distinctly relates to partisan issues) now starts to take a stand and boldly show their support. Unfortunately, Trump will most likely not take note of this particular movement, but we certainly are happy to at least taste this new flavour. This sounds like something straight from a science-fiction movie. A process in which lobster shells and other types of shellfish can be used to produce plastic. Would this even work? And wouldn’t the plastic smell very fishy? It turns out that a layman can’t even tell the difference between this “lobster plastic” and regular petroleum-based plastic. It looks, feels and smells the same. Shellfish, also called Crustaceans, are some of the oceans’ most desired delicacies, with the additional bonus of already coming in their own eco-friendly and robust packaging. Unfortunately, up until now there was little to no use for the leftovers of these sea creatures. Hence most of them ended up in either a landfill – or in the case of the more gastronomically devoted- in a lobster stock soup, before ultimately ending up in the compost bin. Thankfully, researcher at McGill University have found a much better use for lobster and other crustacean shells – producing plastic. As mentioned before, this seems a bit far-fetched, but the process is a bit simpler than anticipated. The shells of insects and crustaceans contain a material called chitin. Chitin is a fibrous component of these animals’ exoskeletons, making them tough and resistant. Furthermore, chitin has a relatively similar chemical structure as cellulose. Cellulose is a plant-derived component which has already been used for some time now to produce PLA, plant based plastics. Cellulose can also be used to make paper, cellophane film as well as textiles. During the production process of plastic through chitin, the chitin is processed into chitosan, which can be used to create bioplastics. Audrey Moore is an associate professor of applied chemistry who has found a way to derive a more durable form of chitosan through a simple process. This process doesn’t require special skills nor equipment, and it breaks down fewer of the polymer chains which results in a stronger more durable material. The future of chitosan-plastic is extremely promising. 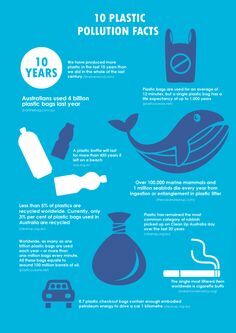 This out of a few reasons, namely that it is a non-toxic and biodegradable material. Additionally, lobsters and other crustaceans aren’t the only source of chitin, as this molecule can be found in some insects as well. However, chitosan-plastic isn’t quite ready yet to make for a reliable replacement of oil-based plastic. Let alone the fact that the value-chain and the supply chain of lobster and other shellfish industries are not nearly competent nor efficient enough to produce enough exoskeletons to make the sufficient levels of plastic to obey to global demand. Nonetheless, most scientist familiar with the subject are confident that chitin-plastic can find widespread biomedical applications as it is non-toxic and safe for medical use and medical packaging. In conclusion, there must be more research conducted into the subject of chitin-plastic. And we can be confident that this might be a viable replacement in the near future. 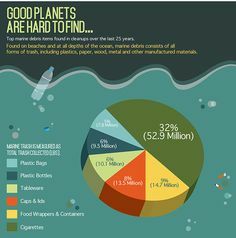 Plus it would be a plastic that is fully biodegradable in addition to making the fishing industry more circular. Popeye’s the famous fast food restaurant chain, focused on fried chicken, has just released a limited series packaging that made a few headlines. The packaging features a chicken but not in the way you might think. Popeye’s has relied on humour to criticise a social phenomenon we see more and more, but therefor they have also managed to turn some heads and stir-up emotions. All in all, they have accomplished to make the internet talk about them. The phenomenon mentioned is the increased appearance and usage of Emotional Support Animals, in short ESA. These animals provide therapeutic comfort to individuals that suffer from mental illness or emotional disorders. In most cases, these animals are small dogs, rabbits or even cats but this does not necessarily have to be the case. This since unlike service animals, ESA’s don’t have to perform any specific tasks or duties aside from comforting the human in distress. Though Emotional Support Animals are banned from most businesses and professional settings, owners of these animals are generally allowed to travel with these animals in-cabin on flights. No additional fees must be paid for the animal to accompany you, at least in the United States. This is due to the Air Carrier Act, which does underlie some exceptions. Airlines can for example impose restrictions under which animals must have every vaccination and cannot smell bad or unreasonably burden any other passenger. Whilst many guests have a legitimate need for such an animal, there is an increasing number of pet owner that are abusing this legislative loophole. Popeye’s has hinted to this well-known fact with their packaging choice for certain airport branches of their franchise. A study showed that the number of ESA’s on regular commercial flights has risen over 74% from the year 2016 to 2017 alone. This regular abuse and disregard for the system has led to industry-wide tightening of the rules and a crack-down on certain types of animals. Reptiles, amphibians as well as certain types of farm animals such as sheep and goats are no longer allowed to be taken onto an in-cabin flight as support animals. Additionally, the ESA must be approved and certified by a health professional. As mentioned, Popeye’s came up with a cheeky packaging solution to make light of the abuse whilst still abiding to the rules. Popeye’s Emotional Support Chicken is not an actual bird nor any other live animal. It is a limited-edition box that is made to look like a chicken, featuring a head out of cardboard as well as a sort of fitting shape. The chicken featured on the box is depicted wearing a vest that is similar to the ones that ESA would be subjected to wear. Not the official vests of support animals but rather the kind of vest that is found on Amazon and thus can be easily purchased by ESA imposters. Hope Diaz, a spokesperson for Popeye’s has made the following statement: “We know holiday travel can be frustrating, and there’s no better way to ease stress than with a box of delicious Popeye’s fried chicken and a good laugh.”However not everyone shares Ms Diaz’s sense of humour, especially not PETA, which made their feelings known via twitter in the form of this statement: “Popeye’s is selling boxes of dead “emotional support chickens” for the holidays, proving they’re not above mocking mental illness AND animals who died gruesome deaths”. This might just be a bit too critical. In any case, we believe that the Emotional Support Chicken might be the thing some people need to distract themselves from the sometimes, deplorable conditions of being cooped up in a jet for hours. Today we sat down with our Business Developer for Latin America, Camila Castro, to learn more about her. What do you do as a Business Developer? Which are your main responsibilities? What I do is, I look for potential customers that could be interested in our products. I start by contacting them for the very first time, introducing our products and getting to understand what the needs are of these customers. If I manage to make them feel interested about our products, then I go on with a proper quotation or product development or whatever the need is. The main responsibility right now, as the Latin American market is a new market for Swedbrand and my efforts are to enlarge the number of customers, to increase our market share and reach the sales targets. What does your Business Development Job mean to you? Business development is a very big challenge to me personally. As I come from a marketing background, I have never worked in direct sales before. Therefore, this new position will really challenge my professional skills. Aside, I like talking to the clients, I really enjoy the conversations with our customers. Thankfully, the people in Latin America are friendly so you rarely get harsh answers. Essentially, it is more of a personal challenge for me, I want to make this work. I worked as a marketing coordinator for a Dutch company in Colombia for several years. Then I came to China to do my masters in International Business at Jiao Tong University in Shanghai. During the course of my master programme, I decided to start working again, and here I am. In essence, I didn’t really apply for this position. There was a job fair at Jiao Tong in which Swedbrand was looking for a marketing intern. I didn’t apply for that position, as at that time, I really wasn’t interested in marketing. However, they were also looking for a native Spanish speaker. I left my contact information with them and a couple weeks afterwards, they called me because Swedbrand wanted to embark on the market development project in Latin America. So, it literally just happened. What is the most interesting thing that you have learned so far at Swedbrand? Well many things. I am very happy to be able to work under and with the guidance of European mentality and people. This is due to the fact, that the way of working is very different to the way you work in Latin America. Even the working environment is different, Latin Americans are very emotional. Although it may take longer to build personal relationships with your co-workers, it is very efficient and well-organised and I am really enjoying the freedom and flexibility that comes with efficiency. What do you like the most about the company and our team? The thing I like the most, aside from the co-workers, as already touched upon before is the working-mentality. I truly enjoy the efficiency, the fact that it is a professional environment and that the developments and working environment don’t involve emotions as much, as compared to Latin American working environments. Where are you originally from? Can you tell us a little bit about that place? I am originally from Bogota in Colombia. Bogota is a city located 2’700 meters above sea-level in the mountains. It is not hot, contrarily to what people might think and we have no seasons, because Bogota is located at the equatorial line. This means that the weather never changes and sunrise as well as sunset is always around the same time. The temperature is steady, between 15 and 16 degrees Celsius all year long. What is different about living in Shanghai as compared to Bogota? I have the feeling that time moves much faster in China. I cannot really tell why, as Bogota is also a major city with over 10 million inhabitants, very busy and also plagued with traffic jams and so on. Additionally, Shanghai is unique in the way that if you don’t speak proper Chinese, you will stay sort of an outsider in the Chinese environment. You hang out with foreigners, you live in your little world, you go around in foreigner-areas, eat in expat restaurants, but you don’t get fully involved in the place. The language makes for a huge barrier. You just do what is necessary and common in Chinese culture but you never get fully involved. And I think that makes you, even if you stay here for a long time, always remain an outsider. What are the 3 things you miss the most from Colombia? What I miss about my country is the politeness and the warmth of the people. Also, I miss the fact that there is almost no pollution. But what I miss the most are natural juices and fruits and vegetables that are all organic and extremely cheap. Because we drink natural juices three times per day accompanying our meals. We don’t eat with water nor with wine. Therefore, I feel like I am missing out on a lot of Vitamins living here in Shanghai. What do you like most about living in Shanghai? I like the multicultural environment. The fact that you can constantly go to dinner with your friends that come from all over the world and have interesting conversations. I also like that it is a very active life. There is always something to do, there is always nightlife, clubs, bars and exhibitions that you can go to. You are never bored. Do you have any advice for someone who just moved to Shanghai? Not only for people coming to Shanghai, but for foreigners coming to China in general. Foreigners should stay very open-minded. Try not to criticise what is different about the Chinese culture and habits. You should not be opposed to general behaviours, even the most critical ones that might seem gross or uncommon to us as foreigners. You should just understand and accept that it is different. That there is no good, bad or better, that it is merely the way in which we were raised which makes the difference. Additionally, if you can and have the time, try to learn Chinese as it will help you a lot. Especially if you want to discover China and the Chinese culture. Do you have any hidden skills or talent? I used to do figure-skating when I was a kid, for many years. I am sad that I stopped but I think that I could still do it.